In her polyphonic poems, Suzanne Dracius creates protagonists—usually calazazas, light-skinned mulatto women with red or blond hair—who fight like Amazons against racial and gender discrimination. Dracius’s voice is leaping and exalted, often sexually charged, and infused with allusions to Greek and Roman mythology. Nancy Naomi Carlson has translated Dracius’s Exquise déréliction métisse, poems written in French yet including some Creole versions, and with Creole expressions sprinkled throughout. In French, this book was awarded the prestigious Prix Fètkann, whose judges cited the poet’s richness of language, with varied linguistic registers. “I am black, but beautiful,” dixit the Queen of Sheba. What about those who are only subnigra? What is there below nigra? Suzanne Dracius was born in Martinique then lived in Sceaux, a suburb of Paris. She returned to Martinique as a professor of classical literature. In 1989, she published her first novel, L’autre qui danse. Her collection of stories Rue Monte au Ciel was translated into English as Climb to the Sky (University of Virginia Press, 2012). In 2005, Dracius published the play Lumina Sophie dite Surprise, about a woman who led an 1870 revolt against colonial exploitation in post-abolition Martinique. In 2010 she received the Prix de la Société des Poètes Français for her body of work and the Prix Fètkann for Exquise déréliction métisse. In 2014, she published her second collection of poems, Déictique féminitude insulaire. Dracius has been a visiting professor at the University of Georgia and Ohio University. She lives in Fort-de-France, Martinique. 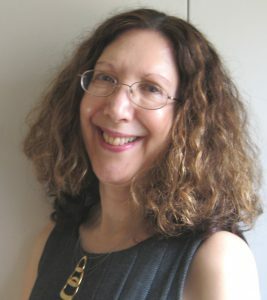 Nancy Naomi Carlson has been awarded grants from the National Endowment for the Arts, the Maryland Arts Council, and the Arts & Humanities Council of Montgomery County. 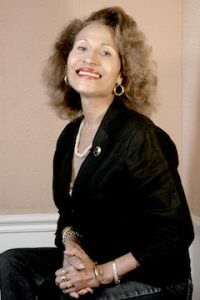 She is author of three poetry collections and translator of Stone Lyre: Poems of René Char (Tupelo, 2010) and of Djiboutian poet Abdourahman A. Waberi’s The Nomads, My Brothers, Go Out to Drink from the Big Dipper (Seagull, 2015). Her own poetry has appeared or is forthcoming in The Georgia Review, Poetry, and Prairie Schooner, and she holds a PhD in foreign language methodology. She teaches at the Bethesda Writer’s Center. Download the free reader’s companion here.